While we still patiently await the first real footage and trailer from Marvel's upcoming 'Guardians of the Galaxy,' we've got yet another sneak peek at the new film via some promotional artwork. 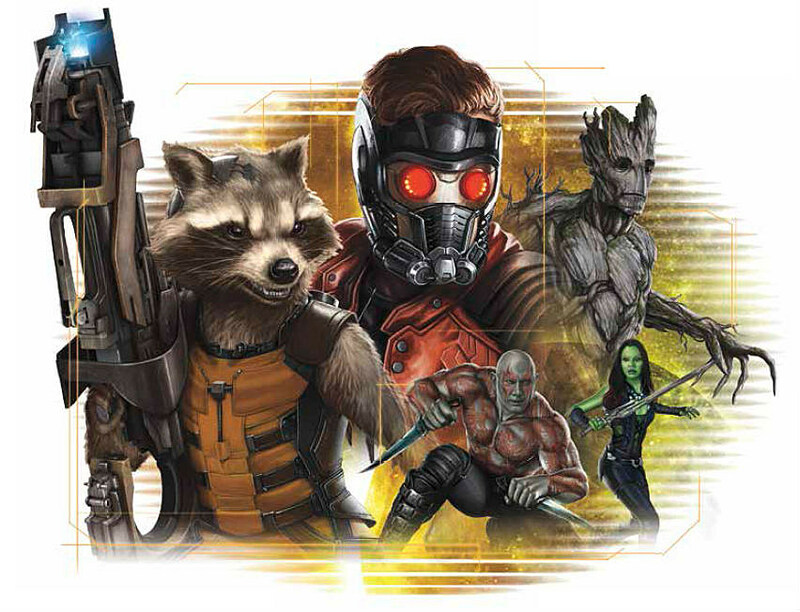 The designs, which will be used on future products tied-in with the film's release, feature heroic leading characters like Rocket Raccoon, Star-Lord, and Groot. The images come via CBM and Guard the Galaxy, who were given the artwork from Zak! Designs. The company will be using the art on several items they're producing to promote 'Guardians of the Galaxy,' which director James Gunn is currently hard at work filming for a release at the end of the summer. The film stars Chris Pratt as Star-Lord, the leader of an unlikely group of heroes who must band together to stop an intergalactic threat from destroying the universe. He's joined by Vin Diesel as Groot, Bradley Cooper as the voice of Rocket Raccoon, Zoe Saldana as Gamora, and Dave Bautista as Drax the Destroyer, all of whom you can see on the artwork below. Click on the first image for a high-res version. 'Guardians of the Galaxy' also stars Glenn Close, John C. Reilly, Lee Pace, Michael Rooker, Benicio Del Toro, Karen Gillan, Djimon Hounsou, and Ophelia Lovibond, and hits theaters on August 1, 2014.